In the fourth inning of yesterday’s 6-2 win over the visiting Phillies, veteran catcher David Ross blasted his 100th career homer, a 3-run, 417 foot rocket out of Wrigley Field, sending the home dugout and 38,000-plus fans into a frenzy. The new milestone was one of three 2016 Bucket List items for Ross, affectionately known as “Gramps” by his teammates and fans, in his final season before retirement. As a journeyman backup catcher who’s long been known as an outstanding defensive player but not the greatest hitter, reaching the century mark in homers is a sizable accomplishment. 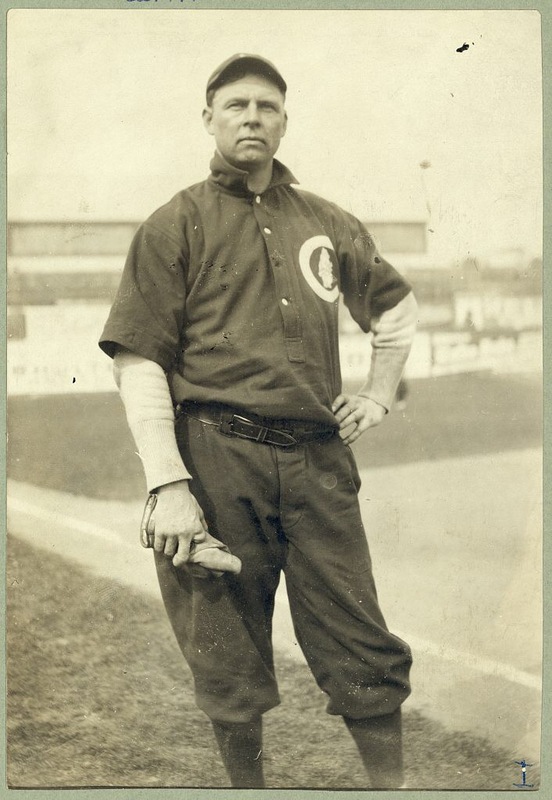 For Ross is a throwback type to the old days when catchers were regarded as the field generals, defense-first players who called great games, mentally and spiritually guided the pitching staffs and terrorized opposing baserunners. 100 homers is nothing to scoff at from such a player. But nor is it a fluke. Ross’ swan song season has been nothing short of terrific to this point. In just 25 games so far, he sits among the league leaders in Defensive WAR, Assists, Stolen Base percentage and Range Factor, all categories that effectively measure a catcher’s performance. His bat isn’t too shabby either, as he’s hitting a solid .254 with 4 homers and 17 runs batted in. A noticeable increase in walks, long at-bats and sacrifices have rounded out his endless contributions to the Cubs’ early success. In addition, the extremely likable, always humble, team-first Ross provides immense value to this Cubs team both on and off the field, and has developed into a fan and league favorite. Catch a no-hitter? Check. Hit that 100th home run? Check. We all know what that third Bucket List item for this season is. If the St. Louis Cardinals ever did write some mythical book on how to play baseball, Chapter One would be titled “How To Win With Injuries.” Cubs skipper Joe Maddon may need to take a page from that chapter, right now. First, Kyle Schwarber is lost for the season in a horrific collision in Arizona in early April. Now, Jason Heyward suffers an injury while making an absolutely incredible catch in San Francisco. The nature of Heyward’s injury, or the time he may be out, has yet to be determined at the time of this writing. The catch itself, was nothing short of amazing. According to StatCast, the ball hit by Denard Span traveled 385 feet with an exit velocity of 103mph. It sailed out to the deepest part of AT&T Park, nicknamed “Triple’s Alley” for good reason. Heyward somehow tracked it down before crashing, in a torso-twisting fashion, into the wall, suffering an apparent oblique/midsection injury. Very, very few players could have made that catch. Never, EVER, celebrate or be glad when someone gets hurt. Never, EVER, criticize, judge, or blame someone for giving 100%. How long Heyward may be out remains to be seen, and (most) Cubs fans are hoping for the best case scenario. For while his bat was just slowly heating up, his defense has been incendiary from day one, and proof that run prevention can be equally as important as run creation. It’s a shame that some fans forget that fact. In the meantime, this gives Crazy Joe Maddon another chance to play toy soldiers, something he loves doing. Matt Szczur coming off the DL will be a much needed element, in addition to extended outfield time for Kris Bryant and Jorge Soler. For the latter, let’s face it, his table is ready. In a perhaps ironic twist, Soler was a star in last night’s game, with two hits including a home run and several excellent defensive plays. He will need to continue that production as he has quickly gone from a useful piece to a key cog. Read that chapter, Crazy Joe. On this date in 1918, with World War I the focal point of the globe, baseball continued on with less attention than usual. Somewhat hidden in that season was a game on May 15 where the Washington Senators beat the Chicago White Sox 1-0 in an 18-inning contest at Griffith Stadium. The drawn-out duel took less than three hours to complete. In this often overlooked contest, young Sox starter Claude “Lefty” Williams (later banned from baseball for his involvement in the infamous Black Sox scandal,) battled Hall of Famer Walter “Big Train” Johnson for the entire game, as both hurlers went the distance. Williams was extremely efficient, scattering just 8 hits through 18 innings. Johnson, conversely, turned in his typical stellar performance, striking out nine of the potent Sox lineup (who were without big sluggers Shoeless Joe Jackson and Happy Felsch due to their wartime duties,) and even added a single in the bottom of the 18th to move the winning run into scoring position. The Senators then grabbed the win, ironically on a wild pitch, by Williams. 18 innings. 18 hits. Two pitchers. One run. 2 hours, 50 minutes. You’ll never see that again. It’s been a rather magical start to the 2016 season for the Chicago Cubs, with many eerie historical parallels that I’ve mentioned in previous posts. Tonight, another notch in the history gunbelt was created, as the Cubs now have the best run differential since the 1905 New York Giants. Why is this particularly significant? Well, one of the players on that Giants team was none other than Archibald “Moonight” Graham, of Field of Dreams fame. In the movie, it was stated Graham played for the Giants in 1922, when in reality, he played in one game, minus an at-bat, in 1905. 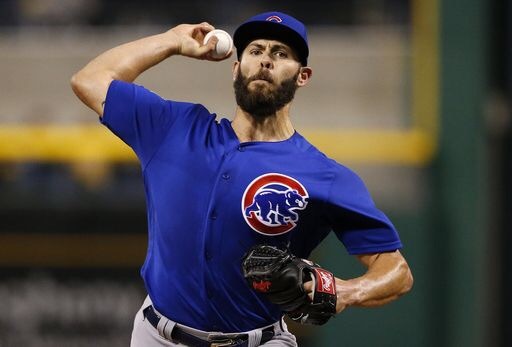 In drawing yet another odd but curious comparison to past Cubs teams, Jake Arrieta becomes the first Cub hurler to win his first six starts since Mordecai “Three Finger” Brown did so back in 1908. On this date in 1920, Babe Ruth hit his 50th career home run, and his first in a Yankee uniform, in a 6-0 win over the rival Red Sox. Babe Ruth crushing one at the Polo Grounds, 1920. The Sultan of Swat would also rap out a double in the contest against his former team in a game played at the Polo Grounds in New York, three full years before Yankee Stadium opened. Ruth’s roundtripper that day was one of a historic 54 he would belt that year, aiding him in collecting 135 RBI’s and an astonishing .847 slugging percentage. For good measure, he also drew 150 walks and hit a cool .376 on the season. In a small but noteworthy pinprick of irony, the Yankees and Red Sox play again today. 96 years later, the Great Bambino and all those fellas from that era are long gone, but some rivalries never die. This time the game is in Boston.